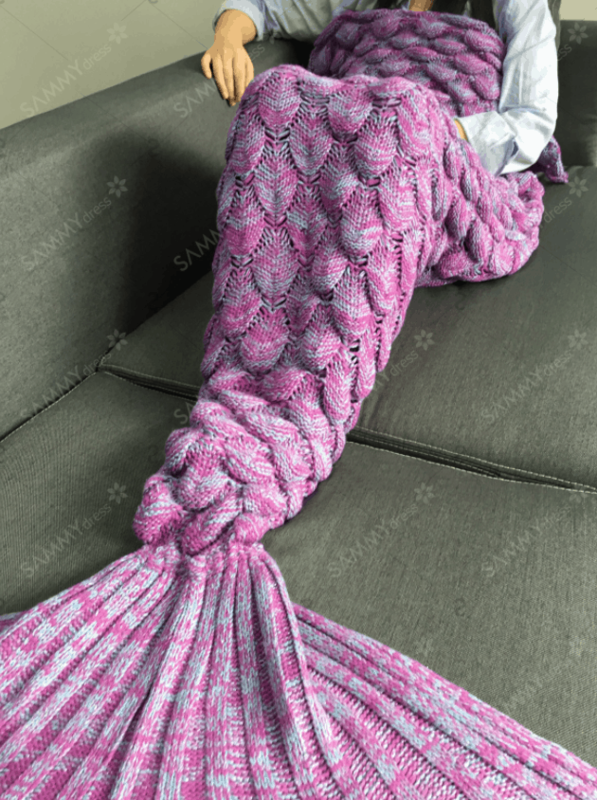 Right now you can get these Knitted Mermaid Tail Design Blankets on sale with prices starting from $4.70 when you follow the instructions listed below. PLUS Shipping is FREE! At checkout, uncheck the following boxes listed below (additional charges will apply for keeping the boxes checked) I actually opted for Priority Shipping but you don’t have to! For Kids Version your total will be about $13.56 – 100 S Points – SDBF2 = $4.70 PLUS FREE Shipping! For Adult Version, total will be about $21.52 – 110 S Points – NOVTWO = $7.80 PLUS FREE Shipping! **I opted to pay for shipping which was only $1.41 to receive it faster. Hurry over to get this deal before it’s gone! 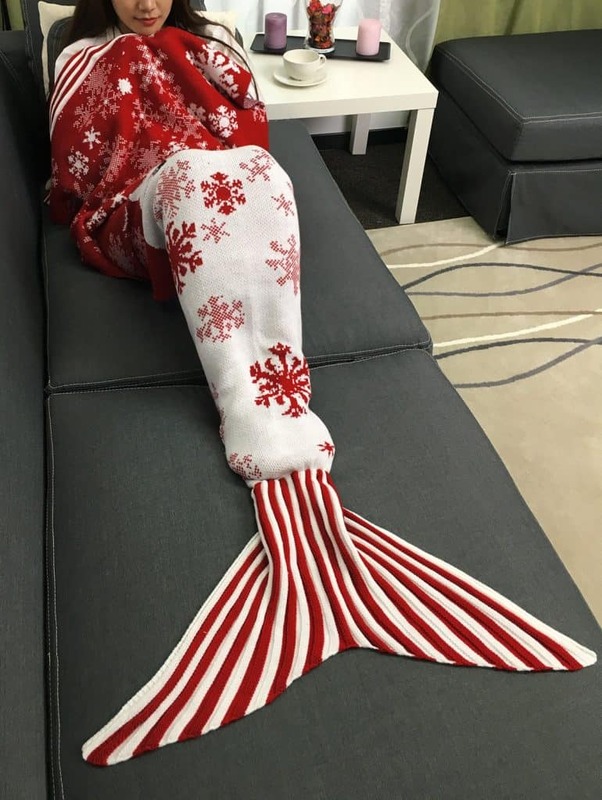 You can also get this Christmas Santa Claus Pattern Knitted Mermaid Blanket for $8.50! Super cute! There's no way you could make one yourself for that money. Thanks for sharing this great deal! We actually have 3 of these wrapped and already tucked under our tree! Granted I paid way more than I should have but I know I will have excited little ones Christmas morning!! Haha. My sister keeps saying she wants one of these. I just sent her this link. They are very cute. I think I would forget and try to get up and walk in it though.. haha.. Thanks for sharing this. Oh, wow, that is an incredible deal. My little girl has been wanting one of these. Thanks! I'm terrible at sewing, knitting, any of that. These are super cute! 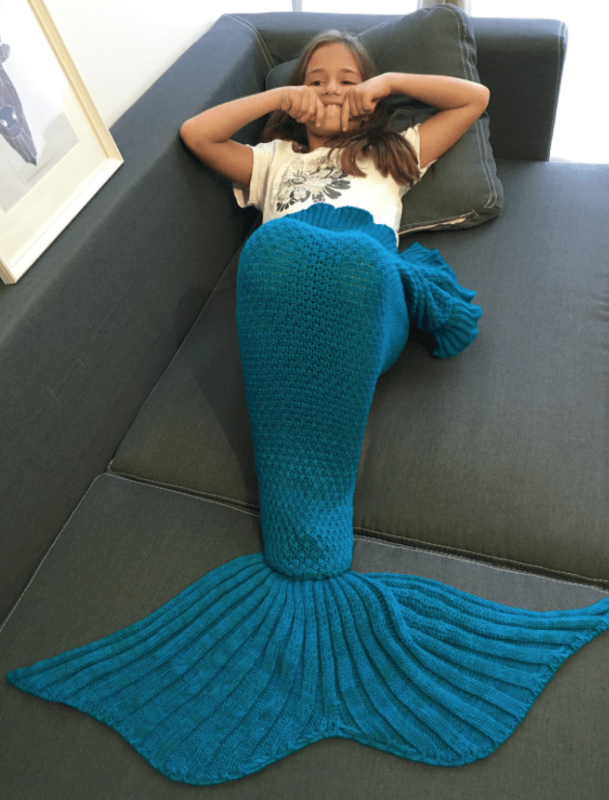 I would have to get you to make mine! Well this is an awesome deal for sure. 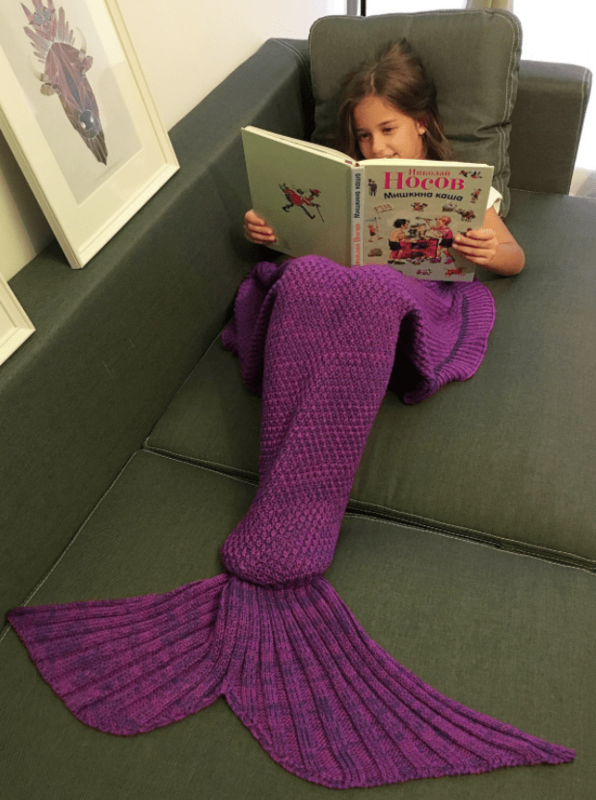 I am showing this to my moms group because I know so many moms who would love to get these for their kids! OMG I just bought one of these! They are so adorable!! Great job! I don't know if I can actually pull off making one but I sure wish I could! This such a beautiful design, and Ive been wanting one of these for a long time!